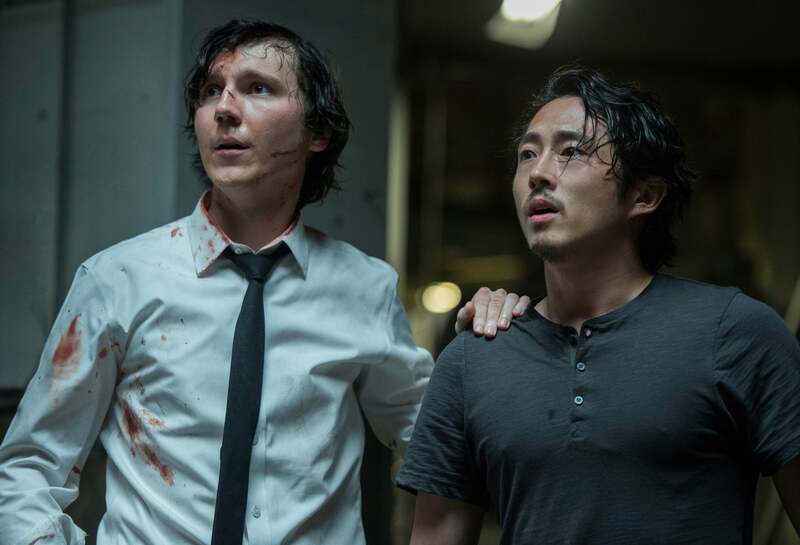 If you’ve seen one of Bong Joon Ho’s movies before—The Host or Snowpiercer, for example—then it shouldn’t be surprising at all to you that Okja is a mix of dead seriousness and bursts of farcical humour. It’s also a movie with a very complicated message, anchored by a tale about a beautiful girl and her monster. And once you see it, you won’t be able to forget it. These lies make the characters around Mija very complicated—and it’s enough to make Okja more than just a tale that inspires veganism. While the animal rights group is clearly more in the right than the Mirando Corporation, they’re far from perfect. Both groups are anchored by the actors playing their leaders: Tilda Swinton’s Lucy easily pinballs from a camera-friendly, concerned CEO to someone crippled by self-doubt but obsessed with success, while Paul Dano is luminous as activist Jay, who very earnestly explains his group’s beliefs, completely confident in their ultimate success. Okja is described as a “super-pig,” but it has the mannerisms of a pet. There were so many moments where I recognised looks my dogs give or movements my cats make. Okja wants you to rethink humans’ relationship to animals, and the VFX of Okja does that work all on its own. Okja is out on Netflix on June 28th. Definitely set aside two hours to watch it.